As Australia developed its own identity discrete from the United Kingdom, it also developed laws that recognised the Australian identity. One critical body of law that developed was the Commonwealth of Australia Constitution Act (“the Constitution”). In essence, these are the rules that allowed Australia to govern itself. As the country grew as a democratic nation, key developments in Australian law took place that further asserted and established Australia with its own body of rules and its own identity within the Commonwealth. 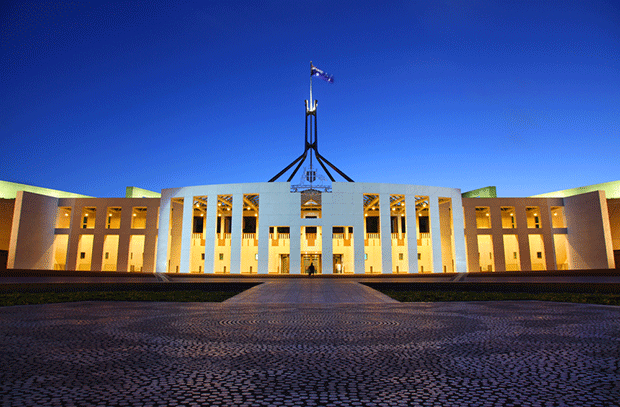 So what are the key developments that have taken place in Australian Law? The Constitution contains the laws or rules under which the country is run. Among many matters, it establishes the power of the legislature, the doctrine of separation of powers between the executive, the legislature and the judiciary and sets out how the federal and state governments interact. Importantly, before the Constitution came into force, Australia did not “exist” as a nation governing itself (although many Aboriginal communities existed and ‘governed’ the land). Prior to 1901 Australia consisted of six British colonies which were governed under British law. With the passing of the Constitution came the creation of Australian law courts, including the High Court of Australia. This court, and the Federal Court of Australia have the authority to interpret Constitutional provisions. a referendum in 1946 which permitted the Commonwealth government to create laws that provided social service benefits to returned servicemen and women. a referendum in 1967 where the people of Australia voted in favour of the Commonwealth being allowed to make special laws for Indigenous Australians. There is talk in recent times of Prime Minister Tony Abbott seeking a referendum in 2015 to specifically include and refer to Indigenous Australians in the Constitution. How the Prime Minister proposes to “recognise” them, what wording is to be adopted and to what extent that recognition is to be implemented is unknown at this stage and perhaps open for debate and discussion. One of the key reasons why Tony Abbott can propose this referendum is because of a key development in Australian law that occurred in 1990 with what is well known as the Mabodecision (Mabo v Queensland (No 2)). Eddie Mabo and the Meriam people filed a test case against the Queensland government arguing that they had a legal right to the land because of possession. There were many matters to be decided in this case, but a central one, in short, was the common law recognising Eddie Mabo and the Meriam people having the right to hold native title to the land. In order to come to this conclusion the High Court of Australia rejected the notion that the country was an empty land (terra nullius) when it was colonised. This was a significant development in Australia law because it was the first time the judiciary recognised, in law, that Aboriginal communities had pre-existing rules and rights by which they looked after themselves. However the decision held that, instead of calling the country a “settled” country, Australia was determined to be a “conquered” colony. As a result the “rules” on conquering Australia that applied still follow at the time of the decision of Mabo. Soon after the Constitution came into force (around 1902) came a recognition of the right of women to vote in federal elections and a right to stand for Parliament. Some Australian States had already ‘granted’ women the right to vote prior to this date – namely Western Australia and South Australia. After the ability to vote in federal elections, the rest of the States soon followed suit with the last state being Victoria to grant equal suffrage to women (in 1908). Curiously, it was a long time later before women held a right to stand for Parliament in many States. Again Western Australia pioneered the way prior to the Constitution coming into force. In that state women were allowed to stand for Parliament in 1895. However, NSW did not allow women to stand for Parliament until 1918, and Victoria, being the last state to grant women that right, did not grant it until 1923. In March 1962 the Menzies Government amended the Commonwealth Electoral Act which ultimately granted all Australians, including indigenous Australians, the right to enrol to vote in federal elections. Prior to this date, Indigenous Australians held no right to be able to vote in Australian elections, and some states, like Queensland, continued to not allow them the right to vote in state elections. By 1965 Indigenous Australians all around Australia finally secured the right to be able to enrol to vote in federal or State elections. Another key development in Australian law was the growth of what is known as “Administrative law”. This body of law grew from the early 1970s. Ultimately these key developments in Australian law paved the way for government decisions to be held accountable and for cases to be reviewed on their merits. The ordinary citizen did not have to bear the heavy cost of accessing the judiciary but could challenge an administrative decision in the Administrative Appeals Tribunal. The rules of evidence are relaxed in these tribunals which means a person can represent themselves and give their story on the merits. The decision of the government body is reviewed on its merits and not simply on legality. The Freedom of Information Act empowered the ordinary citizen to be able to review the reasons for a government decision that impacted upon them personally. That knowledge coupled with the ability to lodge a complaint to an Ombudsman or to challenge the merits of the decision in the Administrative Appeals Tribunal paved a new age of government accountability: openness and fairness for every citizen. Key developments of Australian laws have responded to the needs of Australian society and in doing so, have served to define our unique Australian identity since the inception of the Constitution.